Coconut aminos are a product made from coconut sap (that is, the sugar produced from cutting the coconut palm) and sea salt. They have a salty taste, similar to soy sauce, with a touch of sweetness, though the depth of flavor is not quite the same as soy sauce. Coconut aminos are a popular new alternative to seasonings such as Bragg's Liquid Aminos or tamari. Are Coconut Aminos Gluten-Free? Are they Vegan? Coconut aminos are both gluten-free and vegan. The only ingredients in coconut aminos are coconut sap (sugar) and salt. A few brands add coconut sugar or a little bit of coconut vinegar, but they are all gluten-free and vegan. Why Are Coconut Aminos Suddenly so Popular? Coconut aminos seem to be popular for a variety of reasons: they're suitable for a raw vegan diet, they're popular amongst paleo diet eaters, they're gluten-free and soy-free and are lower in sodium than other options, such as soy sauce or tamari. They're also a low-glycemic food, which makes them a popular choice for diabetics. 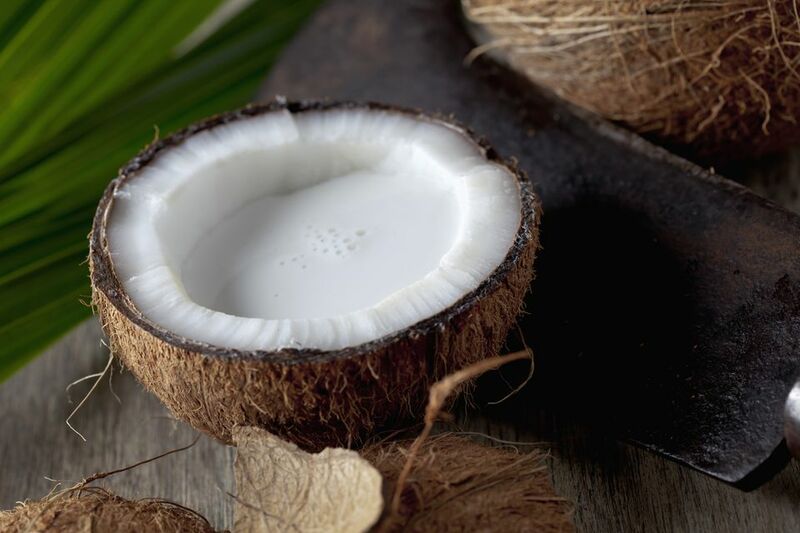 And, of course, coconut products are extremely popular right now, often as a dairy substitute. Coconut aminos also seem to have a fairly savvy marketing team, but they don't really make any outrageous health claims, as many other trendy food marketers tend to do. Rather, they stick to the facts while promoting the health benefits of their product and compare it to others on the market. Fair enough. The advantages of using coconut aminos in place of soy sauce are, the creators claim, are that their product is lower in sodium than soy sauce (yet just as tasty), gluten-free and contains more amino acids. Most Whole Foods grocers are stocking coconut aminos now, and I've seen them at a few independent natural grocery stores as well. One producer has a full list of stores on their website as well as online shopping options for the United States, Canada, the UK, the Netherlands, and New Zealand. Coconut aminos can be used as a gluten-free substitute for soy sauce. Use coconut aminos to directly replace soy sauce in just about any recipe in a 1:1 ratio. They can also be used as a general flavor enhancer. Try just a little bit on steamed vegetables, spritz a bit on a salad or add a dash to your favorite quinoa salad, vegetable stir-fry, or just about any savory dish.